My curiosity guided my career choice. Growing up, I found it interesting how individuals born into the same family, by the same parents, could be so different. I often wondered why and how one family member’s life could be the complete opposite of that of another member of the family with the same genetic make up. Due to my increased level of faith, I was able to understand that life is a journey. As with any adventure, there are bound to be bumps, hills, valleys, and turns, all leading to situations forcing us to encounter roadblocks along our way. I believe these stumbling blocks, although undoubtedly difficult while in the midst, are part of a road map guiding us on our journey. Although we cannot undo each turn taken and life exposure faced, we can choose to reevaluate its affect on our path. I look forward to aiding you along your journey. Bachelor of Science Degree in Psychology from Prairie View A & M University in December 2003. Masters of Science Degree in Human Science from Prairie View A & M University in May 2012. 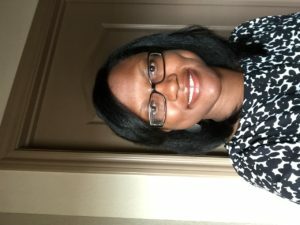 To schedule an appointment with Sonja, call 281-310-1477 or email her at therapyutilizations@gmail.com.